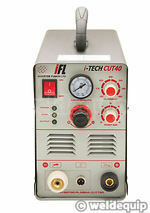 Inverter Fusion’s latest 40 Amp Plasma machine, from the new i-TECH range, has been developed to offer class leading features & cutting performance. 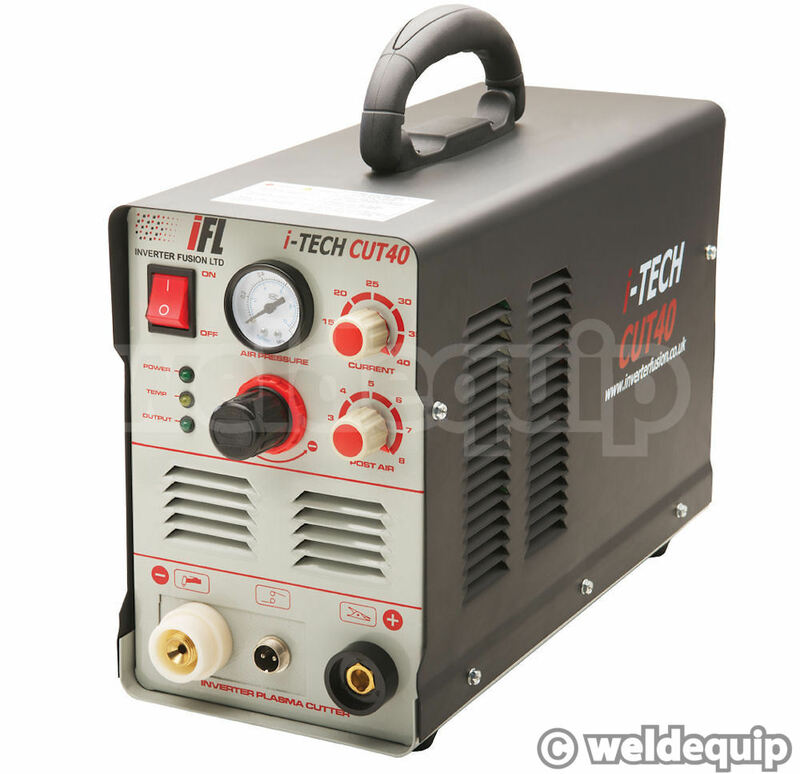 Features include a variable Post Air Timer (2-8 seconds) for extra torch cooling so improved consumables life, integral air regulator & pressure gauge on the control panel for easier set-up, and a quality torch with trigger safety mechanism. 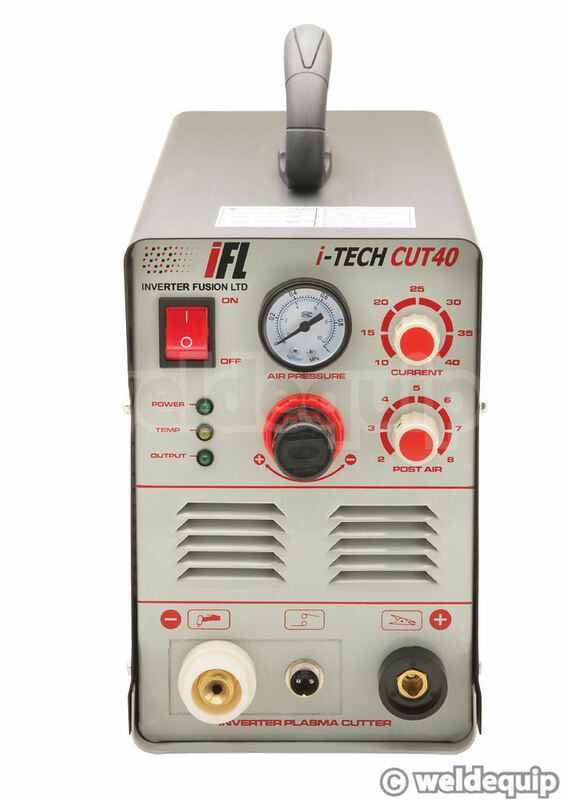 Housed in a nice quality steel case & chassis with efficient fan-cooling, the i-TECH Cut 40 has an excellent operating Duty Cycle of 60% @ full power, and 100% @ 30 Amps; capable of 15mm severance cuts in mild steel, 12mm clean, and around 8-9mm in stainless steel/aluminium. 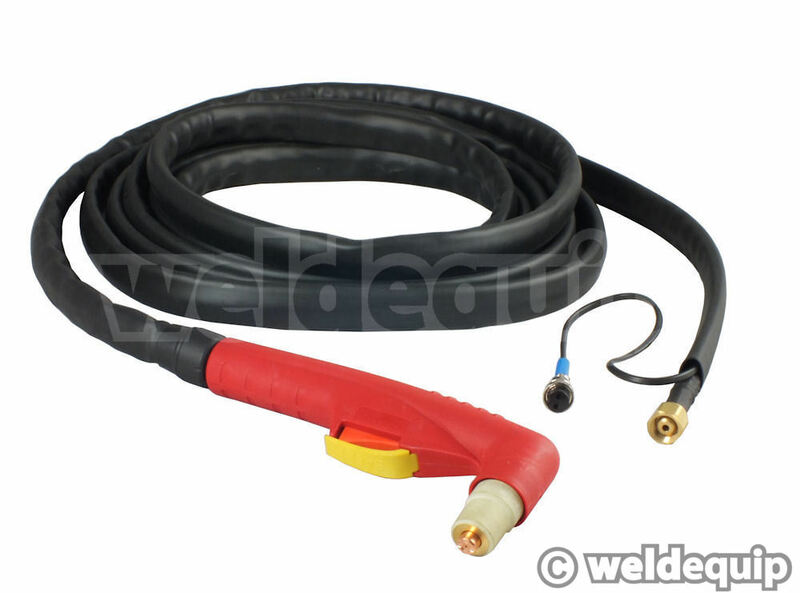 A good quality torch is provided which includes a trigger safety mechanism to prevent accidental, high voltage arc starts. 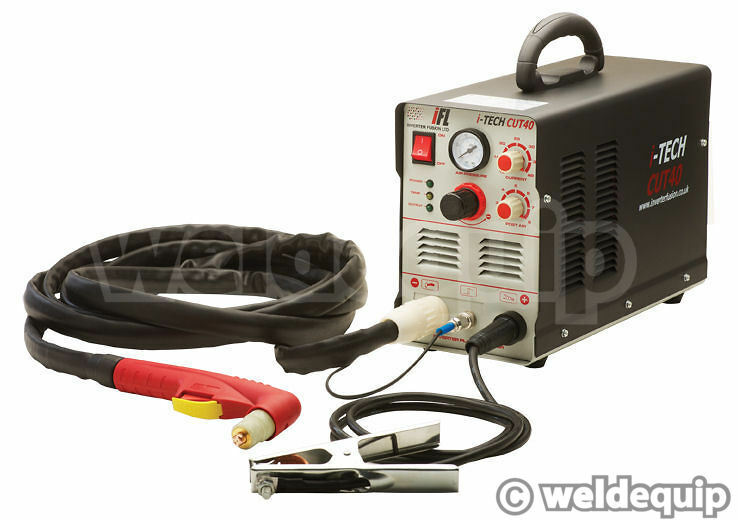 This is a tried and tested design, far safer than other Plasma torches offered with some machines, and accepts low cost front-end consumable parts. Fully supported with a no quibble 2 year parts & labour warranty.